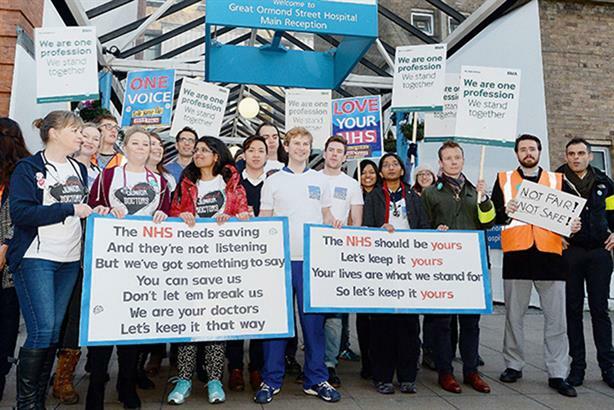 When the Government's comms team went head-to-head with the junior doctors ahead of their first strike last month, it expected victory in the battle for public opinion. After all, doctors, even those in the junior ranks, are privileged members of the professional class and enjoy salaries well above the national average. But, in the days immediately preceding the first strike, pollsters judged two-thirds of the public resoundingly backed the doctors in their dispute, which just goes to show how bad governments can be at gauging public mood. Even a concerted attempt by The Sun to paint the doctors as Champagne-swilling socialists backfired spectacularly when junior doctors retorted on social media by sharing unglamorous stories and photographs of themselves at work. Research shows support for doctors on Twitter actually rose following the attempt to paint them in a negative light. While the decision to continue to offer emergency cover during the strike was, doubtless, driven by clinical imperatives, it was a also great tactic to keep the public on side and public affairs professionals mainly agreed doctors had won the first round. Whether public opinion will change following a second strike last week remains to be seen. Despite a publicly airing of internal turmoils, pro-Brexit campaigners notched a victory by helping guide media coverage of David Cameron's deal with the EU - reaction has been predominantly negative, strengthening the hand of those calling for the UK to leave the EU. Muslim Aid: Volunteers for the charity did a world of good for the image of their religion when they turned out in force to help flood-stricken communities last month. First he receives a knighthood for political service and now Conservative mayoral candidate Zac Goldsmith is beating a path to his door begging for his services - arise, Sir Lynton Crosby.